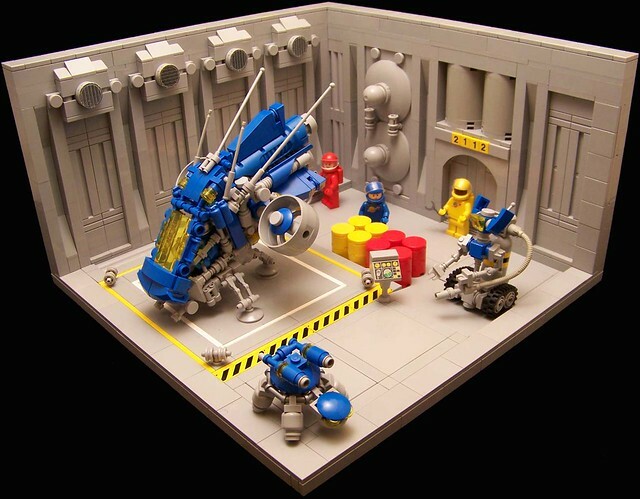 This is a nice helping of neo classic space with a heathy side of turtle from builder Tigmon74. 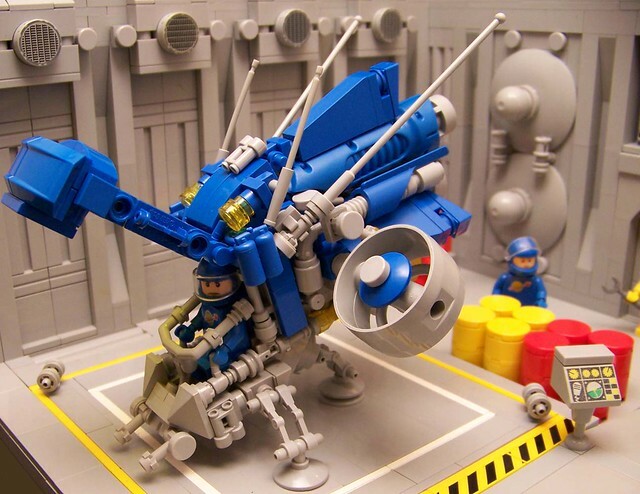 I really dig the ship in this diorama, it's got a cool combination of shapes, and almost insect-like in posture, and just the right amount of greebly goodness. That service bot is also pretty sweet.